Autumn is fast approaching and I am super excited to start wearing darker lipsticks and woolly hats and scarves! 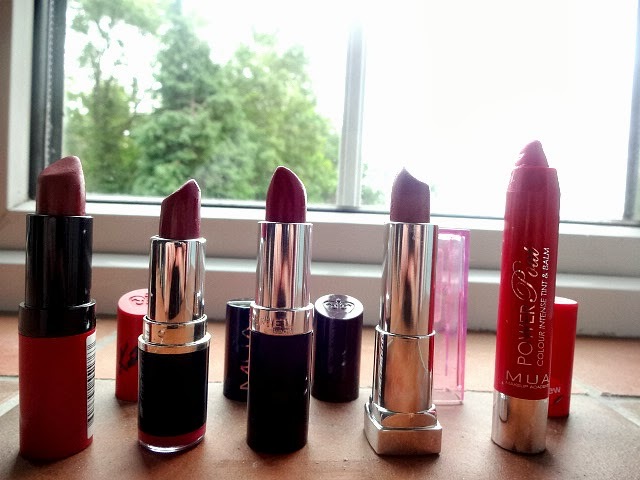 I had a search through my lipstick collection and picked out my top 5 lipsticks I will be wearing throughout Autumn. 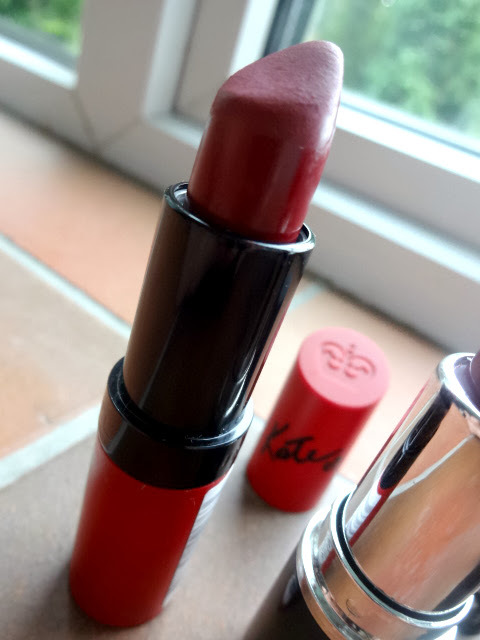 A favourite among bloggers, Rimmel Kate Moss 107. 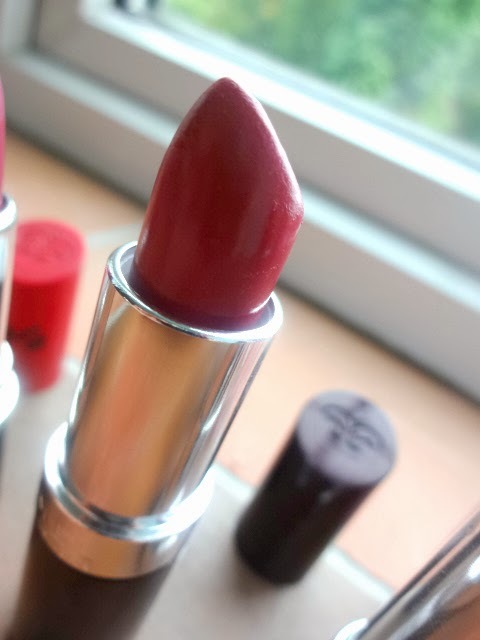 I absolutely love this lipstick, it's a really deep, dark red colour and looks great on anyone. 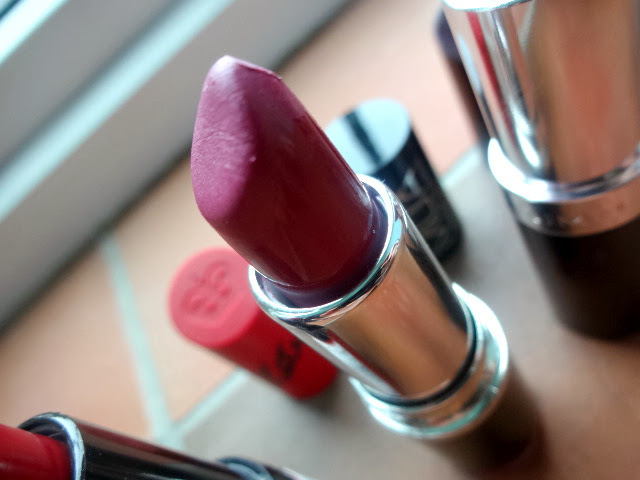 It's a matte lipstick which is my favourite finish, especially for darker colours. MUA lipstick in shade 2 is a lovely purpley red. It is quite purple but still a very wearable shade. It's a nice creamy formula but I would definitely recommend using a lip liner with this as it likes to run away from your lips. 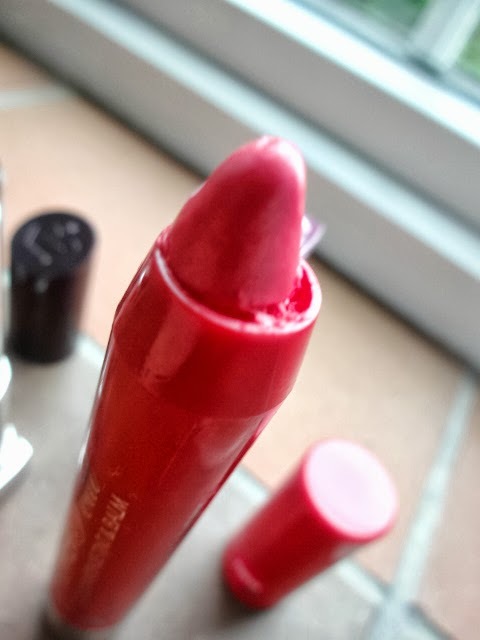 Another Rimmel lipstick, this one is the shade 'Heart broken' and is a cherry red colour. It's not too bright and not too dark, just a nice rich red. This also smells lovely! 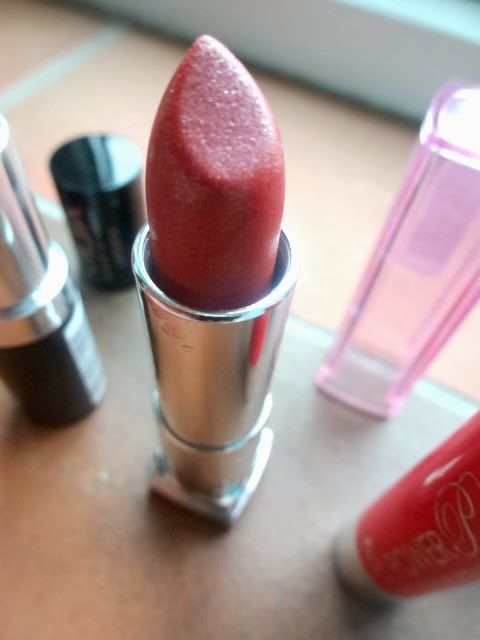 This is one of two Maybelline colour sensational lipsticks I own, the other being a bright coral, summery shade. This one is 'Raspberry diamonds' and the name describes it perfectly. It's an orangey toned raspberry colour with shimmery glitter in it. It's not overly pigmented and just gives a nice bit of colour. The MUA power pout in 'Heartbroken' is a lighter way to wear lipstick in the winter. Just a tinted balm that gives nice colour and shine without being at all heavy on the lips. This is super easy to just throw on and can really build up to quite a deep colour. 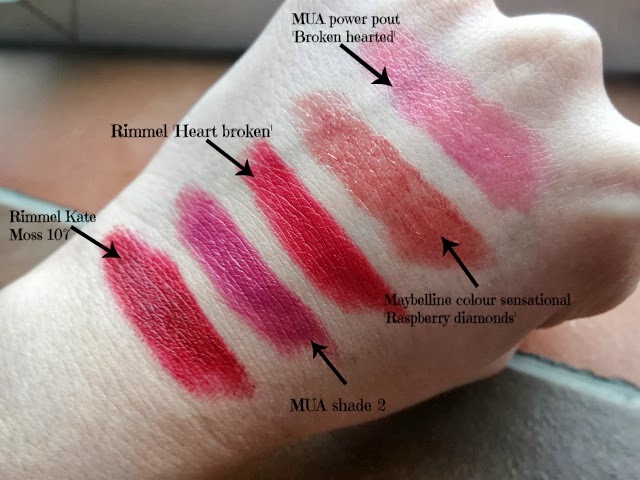 These swatches are very true to their real colour, although the MUA power pout can be built up a lot more than this. My favourite of the lot is the Kate Moss 107 and probably will be for a long while! 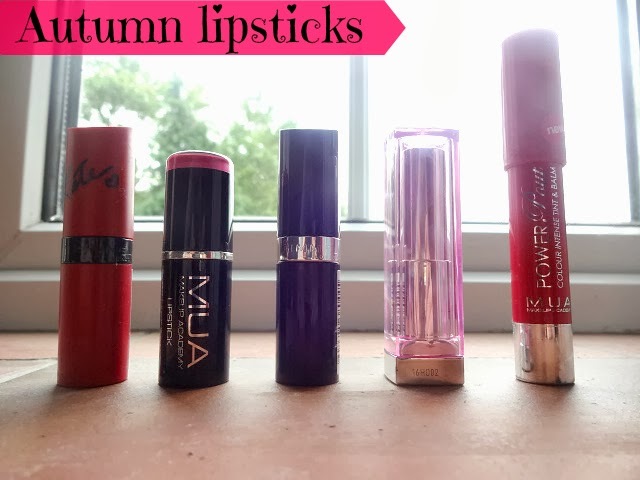 What's your favourite autumn lipstick? Love these recommendations. I'm looking for some new lipsticks and will probably try the first two. Mine is the 107 too, it is the perfect colour, i just wish it had more staying power.